Now there is no reason to prevent anybody from making a film. The technology exists, the equipment is much cheaper than it was, the post-production facilities are on a laptop computer, the entire equipment to make a film can go in a couple of cases and be carried as hand luggage on a plane. 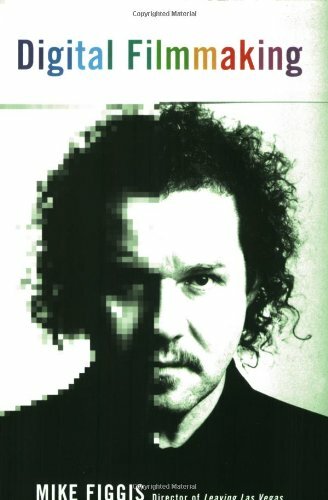 ―Mike FiggisIn this indispensable guide, Academy Award nominee Mike Figgis offers the reader a step-by-step tutorial in how to use digital filmmaking technology so as to get the very best from it. He outlines the equipment and its uses, and provides an authoritative guide to the shooting process―from working with actors to lighting, framing, and camera movement. He dispenses further wisdom on the editing process and the use of sound and music, all while establishing a sound aesthetic basis for the digital format. Offering everything that you could wish to know on the subject, this is a handbook that will become an essential backpocket eference for the digital film enthusiast―whether your goal is to make no-budget movies or simply to put your video camera to more use than just holidays and weddings. Be the first to write a review of Digital Filmmaking!